On 2nd April, Mumbai/Aurangabad, 2018 : Mr Gurpratap Boparai took the charges in hand as the Managing Director of SKODA Auto India Private Ltd (SAIPL). He will be reporting directly to SKODA AUTO CEO Bernhard Maier. According to a source of information said, he will be responsible for SKODA’s development in the domestic market. 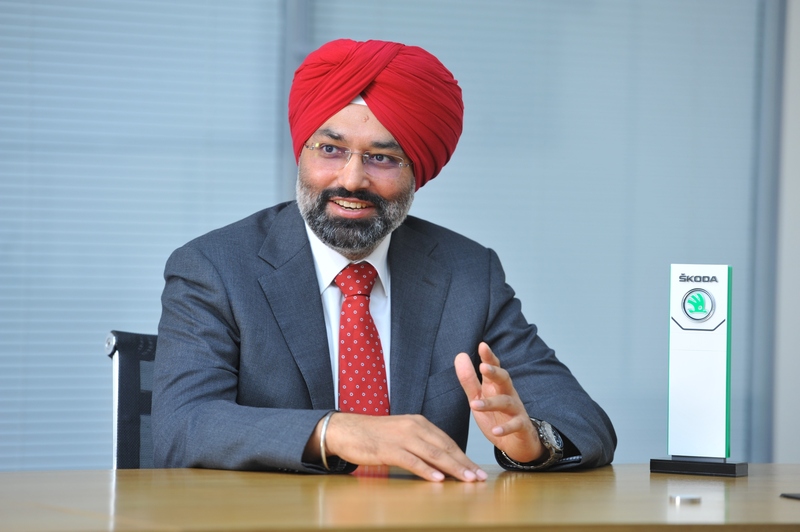 “Mr Boparai’s appointment comes at an opportune moment when ŠKODA is set to strengthen its position in the Indian market. He brings with him vast knowledge of the Indian automotive landscape, which will enable the company to implement a comprehensive expansion plan. With him on board, we will continue to vigorously press ahead with the growth of our brand in India,” says Bernhard Maier, CEO ŠKODA AUTO. In the medium term, SKODA AUTO aims for uninterrupted , stable growth in India. The OCTAVIA, SUPERB, RAPID and most recently launched KODIAQ, which was launched in last October 2017.The Rapid is manufactured at the Pune plant, while the rest of the variants were produced in AURANGABAD where the company headquarters are located. Skoda Vehicles are sold in India through 70 dealership as well as 70 service centres are available for the customers.